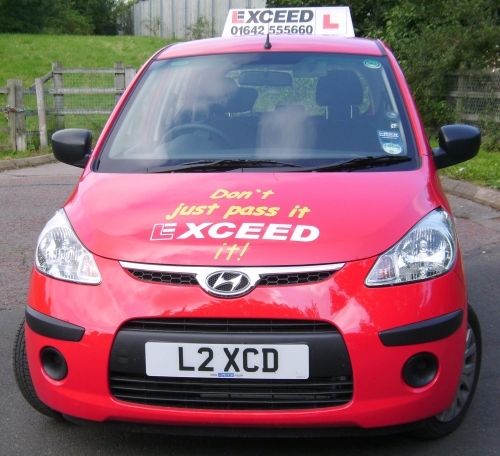 Based in Stockton on Tees, we are a well-established, award winning driving school offering driving lessons to pupils throughout Stockton-on-Tees, Darlington, Hartlepool and Middlesbrough. We take care of everything for you, including your test bookings so you can concentrate on the important part-learning to drive. Unlike most smaller companies offering this service, Exceed is an ORDIT registered training company. Full details of our training costs for ADIs requiring standards check training can be found on our web site. 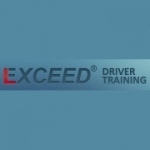 Fully qualified, patient and professional driving instructor who has undertaken additional training to understand the needs of people with learning difficulties/special needs. Training adapted to meet YOUR learning style, we understand that not everyone learns the same way. All training is on a one to one basis and lessons are priced at an hourly rate. We cover the following areas; Hartlepool, Stockton, Middlesbrough, Darlington, and surrounding areas. Update your teaching methods and improve your grade. Grade 6 ORDIT Instructor with a proven track record. My son Martyn has dyspraxia and other learning difficulties but he saw absolutely no reason why this would prevent him from learning to drive. We booked lessons with an Instructor who had been recommended, and it appeared everyone was learning with him. After numerous lessons a driving test was booked for Martyn but then one day his driving instructor took me aside rather than explain to Martyn that some people aren't meant to drive. Months later I read an article about Neil and how he saw no reason why people with various difficulties should not be able to drive. We met Neil, discussed the issues, and in his opinion he saw no reason why Martyn should not be able to drive. Neil found ways to explain things in a way that made sense to Martyn, he gave him an alternative to the normal approach of teaching someone to drive. Martyn had three attempts at the driving test, failing the first two due to nerves, nothing major, and then he passed the third one almost fault free. It is one of his best achievements of his life so far! I am so pleased I read the article that day because it literally changed Martyn's life.